After a bit of a false start last month, Rockstar's downloadable South Central content for Midnight Club: Los Angeles gets a concrete March release date, along with a price tag for the premium content. The South Central update for Midnight Club: Los Angeles actually comes in two parts. 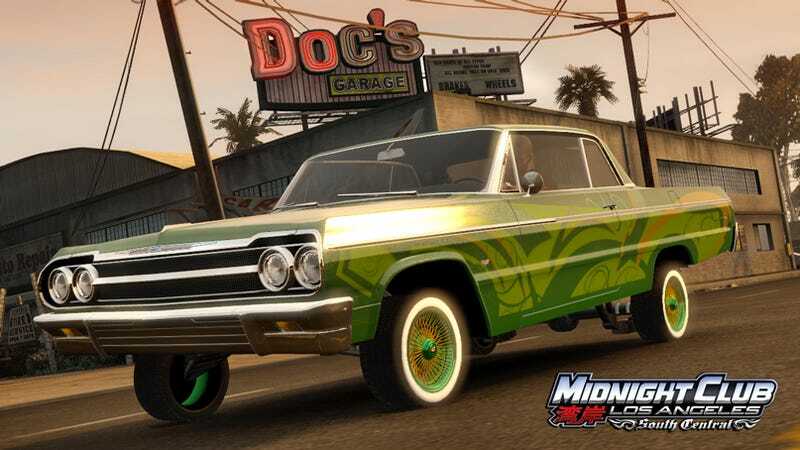 One is a the free South Central Map Expansion, which adds the streets of the iconic district to the game's already expansive map, allowing players to participate in online races whether or not they've purchased the second part of the update - the South Central Premium Upgrade. The Premium pack adds 9 new vehicles, 26 races, 12 battle maps, 10 delivery missions, and a host of other new features to the game, all for the low, low price of $9.99, or 800 Microsoft points. Seems completely reasonable for the amount of extra content players are getting, and it's mighty fine of Rockstar to throw in the free upgrade to keep the online experience solid. Both packs will be available come March 12th for the PlayStation 3 and Xbox 360. Check out the full list of features below to see what you'll be paying for. Luxury: 2008 Mercedes-Benz CLK63 AMG "Black"